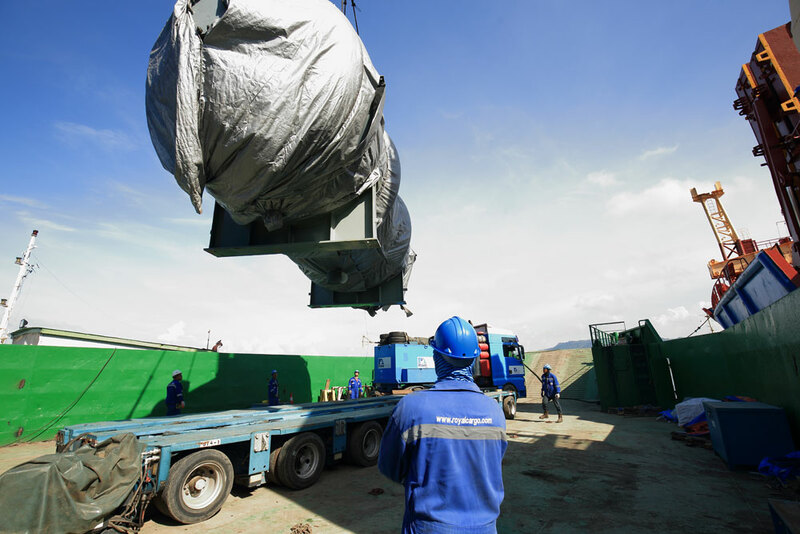 Royal Cargo, the country’s leading project logistics service-provider in the Philippines and member to the Worldwide Project Consortium (WWPC) successfully transported major equipment for the completion of the 3 x 55 MW Coal-Fired (CF) Balingasag Power Plant in Misamis Oriental. Two units of massive ship unloaders from Zhangjiang, China arrived at the Balingasag jetty on February 13, 2016, each weighing 565M tons and with dimension of 22.5 x 18.5 x 59.58 meters (24,800 CBM in volume). 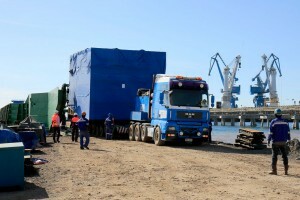 Vice President for Projects and Heavylift of Royal Cargo, Mr. Rodrigo de Roma said the sea transportation and handling were quite risky and very challenging since these major equipment are so vital in the completion of the said power plant. 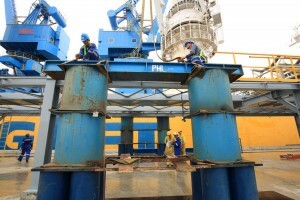 “We played an important role to safely unload and handle these gigantic equipment at the installation rails“. Royal Cargo was tasked to provide and install the temporary structures and special stevedoring works that requires a lot of cutting of huge steel shoring and bracing welded at 9 mm thickness onto the two (2) units of cargoes prior to unloading using a barge crane. 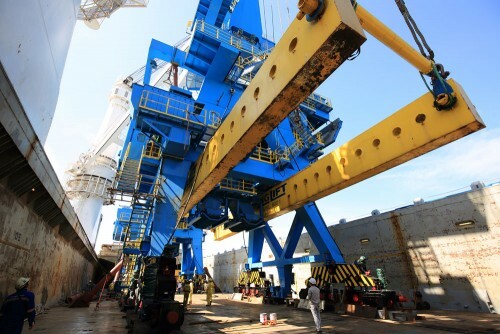 Another ship berthed at the Cagayan de Oro port almost the same time carrying 165 tons steam turbines and 120 tons generators and other equipment for the power plant. 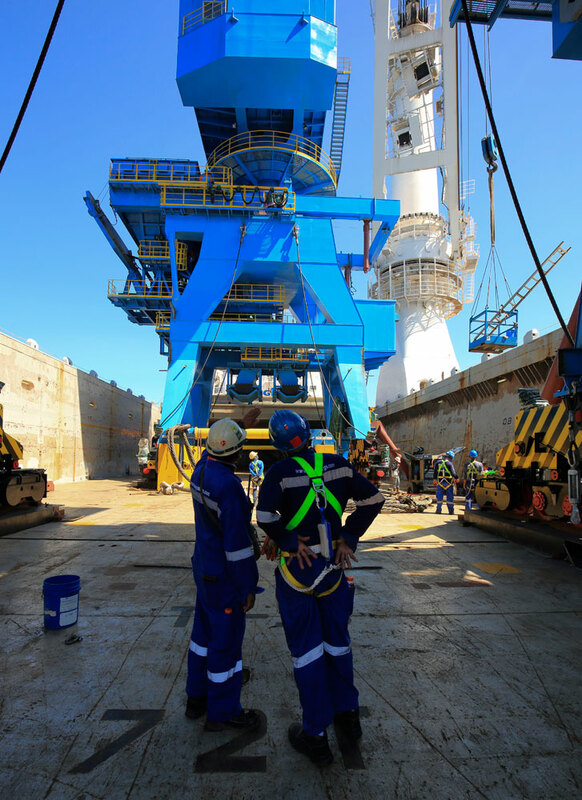 Royal Cargo’s scope of work includes transportation, rigging and installation onto their foundations. The Balingasag Power Plant is a 165 MW coal-fired power plant in Misamis Oriental which will augment the supply of electricity in Cagayan de Oro and northern Mindanao grid.